Unique quality. High precision. Excellent functionality. There are a number of characteristics which distinguish a Laco watch. Furthermore you might find something you did not see at first glance, but that you can feel in every Laco: the passion of our watchmakers – since 1925. 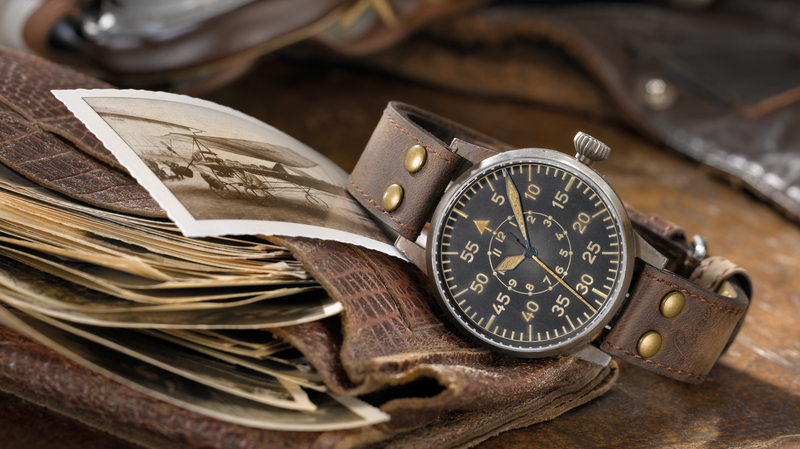 The company looks back on an exciting history: mainly because its pilot watch has a legendary past. Only a handful of companies received permission in the 1940s to manufacture aviator watches - one of them was Laco. Regardless of which Laco aviator watch you choose, all models have one thing in common: a legendary history. In the 1940s only a handful of companies received permission to manufacture pilot watches. One of them was Laco. The favorite Laco entry level mode to the world of pilot watches wins wearers over with a historic dial design in both types. The great selection of several variations makes it possible to find the specific pilot watch for everybody. Just like the aviator watches, the Laco maritime watches allow you to hold one thing in particular in your hands: a piece of history. Today's watches are still oriented toward the look of yesteryear in their appearance. Chronographs by Laco stand for sportiness, elegance and technical sophistication - made with a love for detail the whole way. Strong and precise - these are the chronographs by Laco. With our squad watches we offer a robust solution for daily use in the harshest of conditions - combined with a simple and unique design. Whether modern design watches, reinterpreted classics or unembellished timepieces in the Bauhaus style: confident men and women will find a watch made in Germany to suit them in our Classic line.